Keeway created a sweet scene with our Cool Penguins getting ready for the holidays! She also framed her scene with the Fancy Door Frame Creative Cuts. 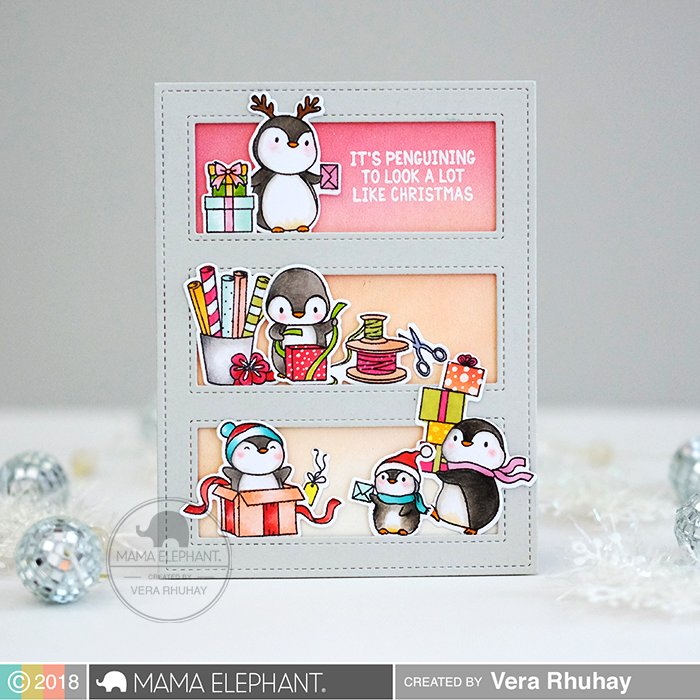 Thi made this penguin gift wrapping party by pairing our Cool Penguins with the banner from Swinging Borders. 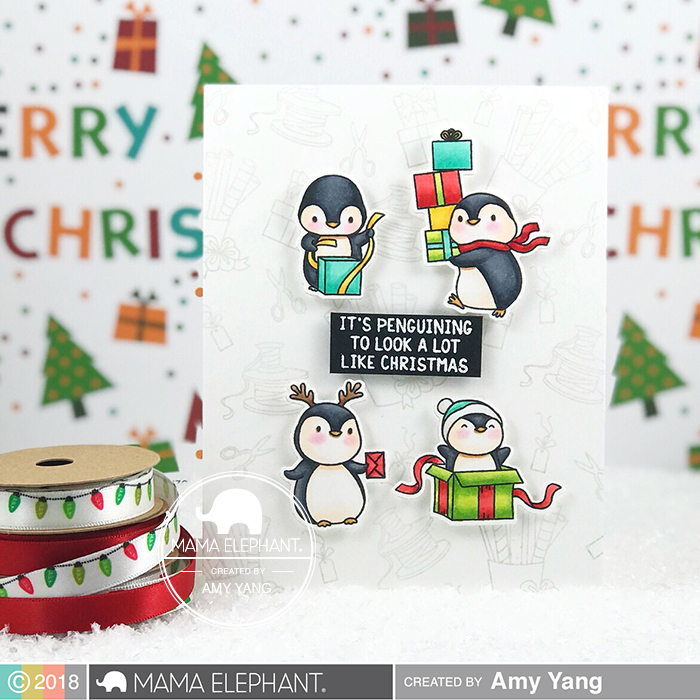 We adore this cute card by Amy and how she created the patterned background for the penguins. Love that our Cool Penguins are so ready for Christmas! The Snow Capped Mountains and Galactic Cover create the perfect icy backdrop to these package wrapping penguins! Keeway created a clean and modern design with this jolly Santa from Santa's Sleigh and a background created with our Color Me Letters. In this fun scene, Amy combined the Santa's Sleigh with the Galactic Cover - Creative Cuts. 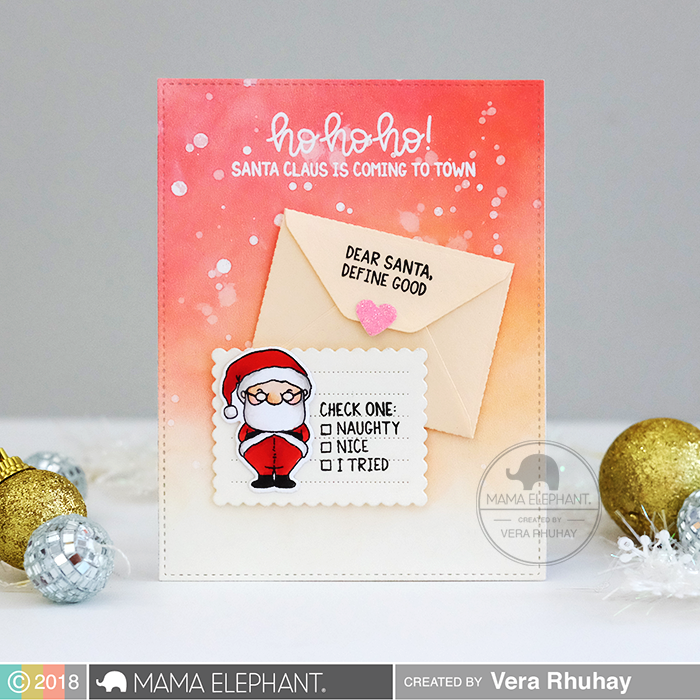 Vera sent a letter to Santa by combining Santa's Sleigh with Pocket Envie - Creative Cuts. What cute cards! And what fun festive stamp sets! I want them all! Maybe Santa will bring them! 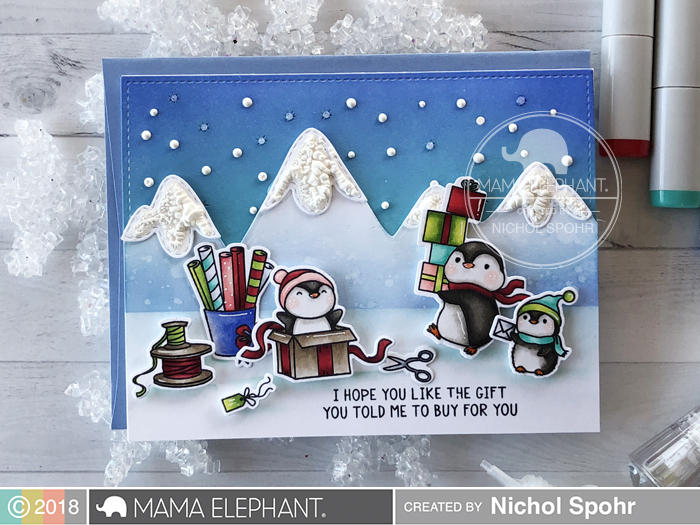 Such fun cards and love the penguins! Love all of these adorable cards! The penguins are just darling and that cute Santa is so fun! Both sets are awesome! Those penguins are just so cute! Wonderful inspiration! Those penguins are so sweet! These are Adorable!!! I love these penguins!!! Adorable penquins, all those cards are stunning & so inspiring, thank you. Santa and crew are fun.